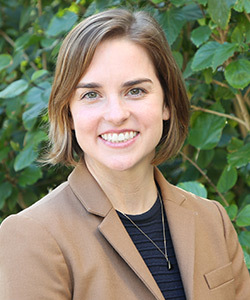 Based out of Los Angeles, Laura works closely with university faculty and staff to support student growth through study and internship abroad opportunities. She identifies ways CEA can assist its university partners achieve their internationalization goals. Laura obtained her Master’s in Business Administration with a concentration in International Business & Marketing from DePaul University and her Bachelor's Degree in International Relations & Spanish from the University of Wisconsin-Madison. She has 11 years of professional international education experience. Her most recent position was at DePaul University working within the Global Engagement Office. Laura studied abroad in Oaxaca, Mexico and Madrid, Spain during her undergraduate studies, discovering how study abroad can exponentially enrich your career and your life. Shortly after graduating, Laura worked in Buenos Aires, Argentina, an experience that launched her career in international education. Laura has a deep passion for international education and works tirelessly to enable as many students as possible to study and work abroad.